Oil and gas services giant Wood Group today said that it expects the “challenging” industry environment to persist next year. 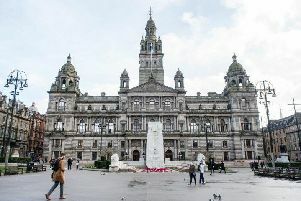 However, in a trading update, the Aberdeen-based firm said it saw signs of “modest recovery” in some markets, and expects its 2016 results to meet City forecasts, which currently point towards underlying earnings of about $370 million (£292m). Wood Group, led by chief executive Robin Watson, saw its profits slide more than 26 per cent to $166.4m during the first six months of the year, but today insisted that its balance sheet remains strong and it remains on course to deliver a double-digit increase in its annual dividend. It said: “Oil and gas markets remain challenging in 2016. Lower oil prices have endured and activity has fallen across the sector. In response, we have significantly reduced our cost base, worked alongside customers to improve efficiency and refined our operating structure to enhance customer delivery. Wood Group, which has a presence in more than 50 countries, is due to report its full-year results on 21 February. • Oilfield services contractor Petrofac has won a $75m one-year deal with South Oil Company to continue providing operations and maintenance support at a major exporting facility in southern Iraq.